Hi there! Today we'll show you how to Upgrade your Infinix HOT NOTE and NOTE PRO from KitKat to Android Lollipop 5.1 OS. We'll also talk about How you can perform the upgrades on your other various Infinix Models, like INFINIX HOT X507 and INFINIX ZERO 2, more on that later in this post. However, we should know that each of these Lollipop roms are uniquely different for each model. We already announced the Updates since August that Infinix Lollipop upgrades had been rolled out and already been on use but Beta versions were having few bugs which have been fixed in the recent ROM updates that we want to give you here now. iii.) Infinix Hot Note X551 Lollipop ROM File >> Download Infinix Hot Note X551 Lollipop Here. Extract the file to a folder on your computer after downloading. Once you have all those 5 tools ready, you can proceed. * Enable USB Debugging mode by going to settings > Developer Options > Enable USB debugging **Upgrade/Flashing will Wipe your phone memory. Please Ensure you remove your SDcard or Back Up the files your saved in your device's Internal memory, especially Media files (Videos, Music) or whatever's important, like your Contacts, you use this App to Backup your Contact , back them up by moving the Files to your PC or memory card and remove the Memory SD card if you use one in your Infinix Hot Note. 1. Be Sure your phone (Hot Note) is Still On and very well charged. Also "Unroot your phone" if it's rooted, you can easily unroot with King Root App. 2. Go to where you Extracted your SP Flash Tool v5.1352.01, inside it, you'll find the file name flash_tool.exe , right click and Run it as Administrator. For the first time, it will bring a Window saying - The Scatter file cannot found, please make sure the file is exist before download. Just ignore that by clicking OK.
3. Click SCATTER LOADING, this opens your folder. 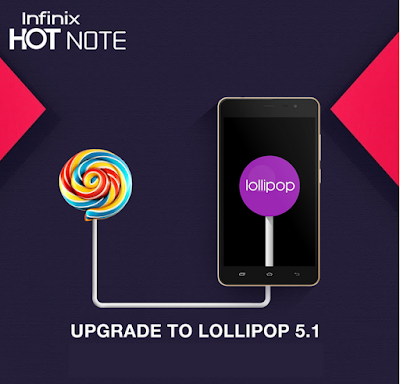 Navigate into the folder where you had extracted the Lollipop ROM file for Infinix Hot Note X551. According to my screenshot, I saved my Rom in my Desktop. Wait till it completely loads up on the flash programs. 5. This is the tricky part, you'll pass if you follow carefully. On your Flashtool, Click DOWNLOAD icon, wait for some seconds... no worries, nothing happens here. While it is still plugged in, Now Power OFF your Hot Note Device. Seconds later, some readings will display on the SP flash tool. 7. When the Process is Complete and successful, You'll get a Green Check Mark saying Download OK in the Flashtool on your PC, now you can unplug your phone. Power ON the device, Keep calm as this will take a while since it's the first time. When it's finally On, Follow the Instructions on the Welcome message and we're done! This Detailed guide also works for upgrading INFINIX HOT X507 and INFINIX ZERO 2. All you Need to do is get the "Correct" Lollipop ROM for your Model, then come back here and follow this Complete guide On how to Apply the upgrade. More updates will be rolled out via OTA as you use the Lollipop OS fix bugs or improve user experience. As a matter of Fact, this Procedure is Quite Easy after all, and very similar to the One we used to Fix a Samsung Galaxy A3. Thumbs up to members of the Infinix BBS forum and one of our good friends, Samuel of TechsNG for their initial efforts in discussing this upgrade and fixing other issues on Infinix smartphones, you also can visit those guys if you have any issues with your Infinix device. Meanwhile, pls Drop your Comments Or Questions below, we'll be willing to help with Answers anyway we can. 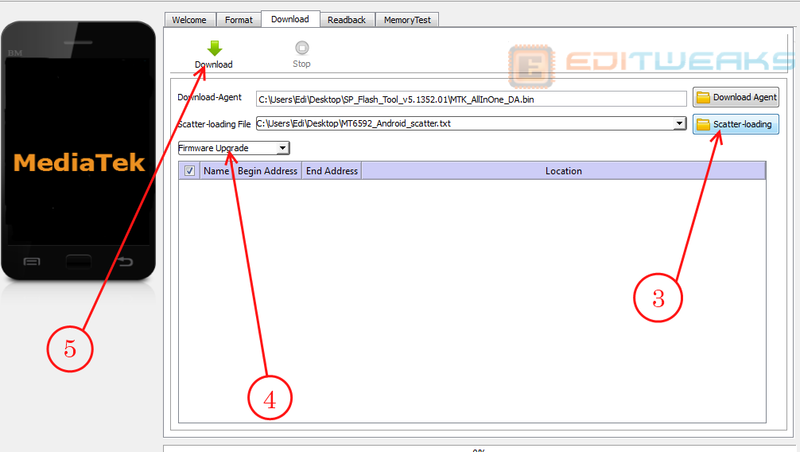 You see Download Infinix Hot Note X551 Lollipop ROM File. Download it and you will find the MT6592_Android_scatter.txt inside after you download and unzip the folder. What trouble are you facing? where do I right click for it to show run as administrator? On the flashtool.exe you extracted to your desktop, right click it and run as admin. Really this confuse most of us regarding upgrading to lollipop manually!! Is there anyway to upgrade OTA? I bought my Hot Note Pro 16+2 from Souq.com (Saudia Arabia) & now it's pricked after 1 week after trying to upgrade manually, no power no charge, Don't know what to do!. Is there any support team or agent here in Jordan? Can you outline the steps you carried out? Trying to help a friend fix a soft bricked x551 i dont know which model and neither does he. I followed the instruction to the letter(i think). However nothing happens just a battery symbol on my phone screen and the sp_flash_tool remains in one state until i click [stop]. it has a series of items listed (PRELOADER, MBR, EBR etc) but nothing happens. Can you please be more specific on what i will see if its working (you said "some readings will display on the tool"). I am using windows 10. I got a message saying that the driver installed successfully. I have no win7 systems available to me at the moment. I appreciate any way that you can help me out. hi Chibuzor, try hard reset and wipe all cache, you can find Menu for hard reset by pressing and hold power+volume down key, once you do that, you can now follow up the steps in this post here again, from section 5 of STAGE TWO. Hope it works for you. i've been looking around for a good post concernin dis, and so far dis is d best i've com across. nice. I will like you to post exclusively on hw to upgrade the Infinix Zero 2. Thanks. Thanks for appreciating our tutorial Mark, and we will surely post exclusively on how to upgrade the Infinix Zero 2, just follow our updates via mail or through Social Media profiles we provided for you. Thanks a lot for ruining my phone. I followed ur post step by step and flashed the lollipop into my infinix x551. It completed and showed the big white tick in a greenish circle, meaning successful flashing. Then I tried to reboot like u said and the infinix won't boot. It's been 4days now. Sorry about your issue but you may have done something wrong during the process of upgrading/flashing your Infinix X551 device, did you unroot before starting the process? Are you sure you got the "correct firmware for X551?". Where you using a custom Rom before starting the process? You may have to ask yourself few these things. It is very important to ensure that your device is on Stock rom and unrooted before starting the process, if you read carefully we mentioned all that in the post. If you have answers to these question you can tell us so we'll help you find how you can solve the flashing issues. Yes, it's compulsory but you switch it off later. First thing while it's On, plug the USB to the phone, then go to your Flashtool, Click DOWNLOAD icon, wait for some seconds, now you can switch off the phone for the process to take place. can i install the rom via sd card in the recovery? if after upgrading the phone, can i root it again? Is there anyway to fix my phone it goes down during upgrade? Actually during STAGE TWO of above procedure "how to Upgrade your Infinix HOT NOTE Pro" the set goes down and never ON. 1. I use, SP Flash Tool v5.1352.01, inside it, I opened the file name flash_tool.exe as Administrator rights. 3. I Waited till it completely loads up all files on the flash programs. 4. Then I clicked and change it from pre-selected option Download only to FIRMWARE UPGRADE, on the SP Flashtool. 5. Then followed the DOWNLOAD icon, procedure. 6. I waited till process is complete and finally I got the complete notification message with a check mark, then I remove the phone from the computer and try to turn it ON but opps. After that my phone never ON to till. Put it on charge with your laptop for some minutes and switch on, if it doesn't still turn ON, try the upgrade procedures and make sure you choose the correct firmware (ROM) for your Infinix model. nothing happens when i connect the usb and click on download.i followed every step correctly too. My infinix hot note pro was upgraded to lollipop successfully, but the WiFi is no longer working. What can I do to rectify it. Please, I need your help. Hi, it didn't work for me. I waited for the green tick but nothing happened. Edi I want to upgrade BT am just scard oo..are u around makurdi?? You can leave it for some days to stay Off then try to charge it using your laptop or light. If it comes on to charging then try flashing it with the right ROM. - To disable the driver signature enforcement until next restart press on number key 7 or F7 on your keyboard. Thanks mate! Working perfectly, more success on your path. Hello edi... I have to say this is the best place for the full fledge tutorial mark on how to update this infinix x551hote kitkat.. But...I have 2 questions, 1. Can this work with a fone that hasn't been rooted at all. 2. Where exactly are u in Lagos, if u are in ikeja, kindly update on how to reach u. Weldone Bro. Hi Bidey, it will works Best on Non-rooted Infinix phones. (Remember we advised you have to Unroot before upgrading). I am not in Town at the moment although Lagos is my state of residence, however you can always reach me by sending me a mail using the Contact Us page. ive got an update to install but it's telling me that "unfortunately system update has stopped" and sometimes when i try to minimize an app, it shows "unfortunately, system ui has stopped"
pls what should i do ? Good morning bro, I tried it exactly how u typed it, but all it does is charge at the final stage. Pletdon't know what to do next. I use a Windows 10 by the way. Any suggestions that could help? my infinix hot note is not coming up again after upgrading. Plese I need all your helps and support, please i bought an infinix phone x551 32+2GB kitkat, and i want to upgrade it to Lolipop please which link should i click on? 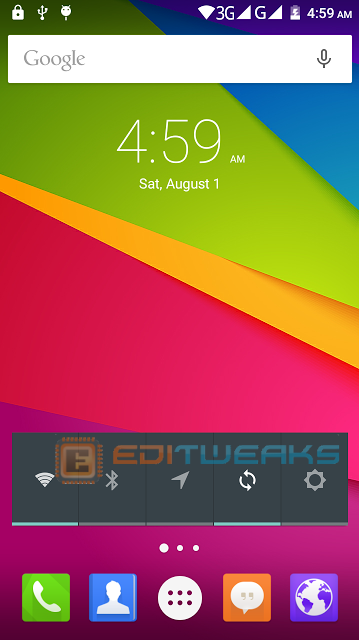 Infinix Hot Note X551 Lollipop ROM File >> Download Infinix Hot Note X551 Lollipop Here. Please Reply in Typing A or B please urgent help needed. My name is Abdurahmon, I updated my phone just as you explained but sometimes it will just hang for about 1 to 2 minutes, please what can I do? Plz, i dont want a situation when i will download d lollipop Rom twice. After being directed to mega app, is it fownload i will click on or import??? If download, will i be able to locate it on my phn storage, thus able to forward it to my laptop and access it as scattered file?? Plz, after being directed to mega app for the downloading of the lollipop Rom, will i select "download" or "import"? If i will av to select download, will i be able to access d zip file on my phn storage, thus able to transfer it to my computer system for access by flash tool. Yes, select Download, you can locate it using File explorer, but I still advice you download the ROM and do everything in your PC. Have successfully updated my infinix hot note to lollipop. Plz ,i keep getting a disturbing notification abt *system update available* , can i click and update???? Thanks! Have upgraded my phn successfully. Plz, system update keep showing up the notification screen, can i clicj and update?? Wont it have any infect on the phn? ?